Whether you have your own site in the country or need a lot for your new home, Premier Homes can build your home anywhere in the Champaign-Urbana-Savoy area. 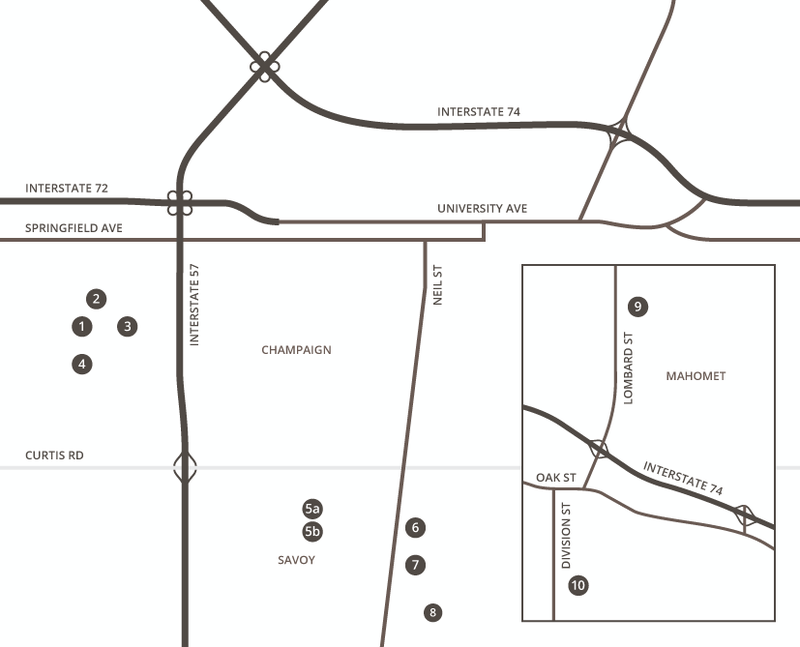 The map below shows some of our choice subdivisions. Looking for something different in a location? Just let us know. We’ll be happy to work with you.